This weekend I went up to my cabin in Danbury, Wisconsin, a small town located about 15-20 miles from the Western Wisconsin border. 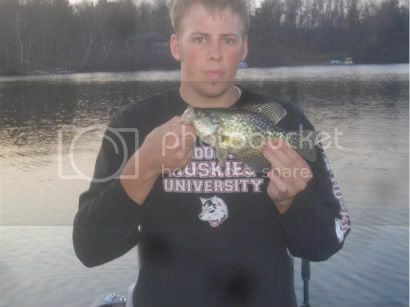 The goal was to find and lay into some nice Black Crappies. 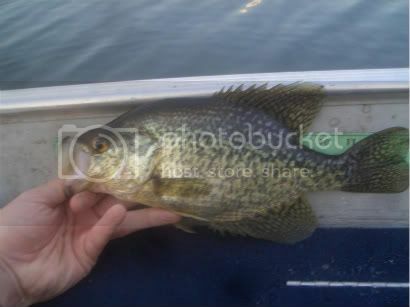 Me and my cousin (BIGFisherman55) went out on Thursday evening, and it wound up taking a few hours for us to find them, but once we did we were able to dial in on them for an hour and a half or so until the lack of sunlight forced us to head back to shore for the night. Size wise this was our best outing of the weekend, we layed into some 11's and 12's and even a couple 13 inch slabs. The Largemouth Bass also seemed to enjoy the crappie minnows that we were pitching seeing as how we caught 10-12 of them, a handful between 2-3 pounds which put up a nice fight on the ultralight!! 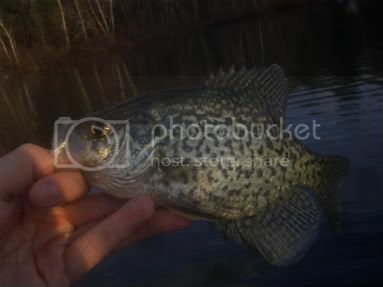 My 13 inch Black Crappie! Most of the weekend we spent fishing in about 7-9 feet of water, fishing at about 1.5-3 feet under the water surface. 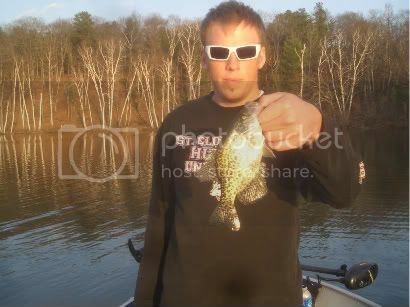 We were using slip bobbers and mostly purple tube jigs which were tipped with a crappie minnow. The water temperature was between 52 and 53 degrees. The forecast predicted a lot of rain but we lucked out and it only rained for about an hour or two on Friday. 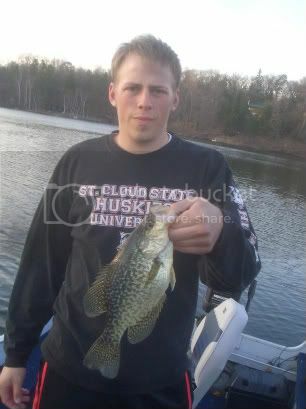 For the weekend we kept about 70 Black Crappies and filleted them up. We had a fish fry on Saturday afternoon that was delicious!! We covered the fillets in Shore Lunch and threw them in a deep fryer. 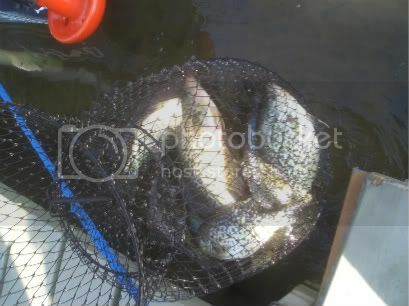 I also went home with a few bags of fillets and will be cooking those up in the upcoming weeks. Mmmm.